TREC is an initiative of The Club of Rome, the Hamburg Climate Protection Foundation and the National Energy Research Center of Jordan (NERC). 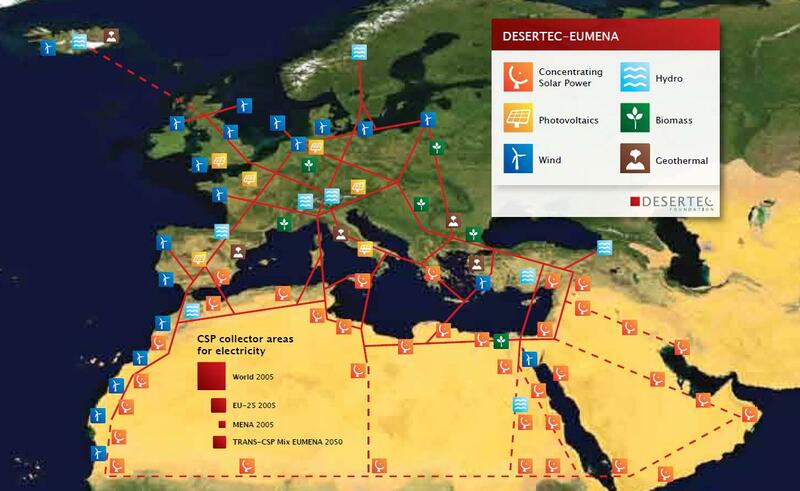 Is there a Chance to use the power of the sun in the desert to get clean energy to the European Continent ? Three different studies from the DLR (MED-CSP, TRANS-CSP, AQUA-CSP) are a base for this consideration.